Traditions are ingrained in the Walt Disney World experience. From the dining, resort, and firework spots we go back to time and again, to the experiences and quality of standards, some dating all the way back to Walt himself, traditions are in every single facet of a trip. 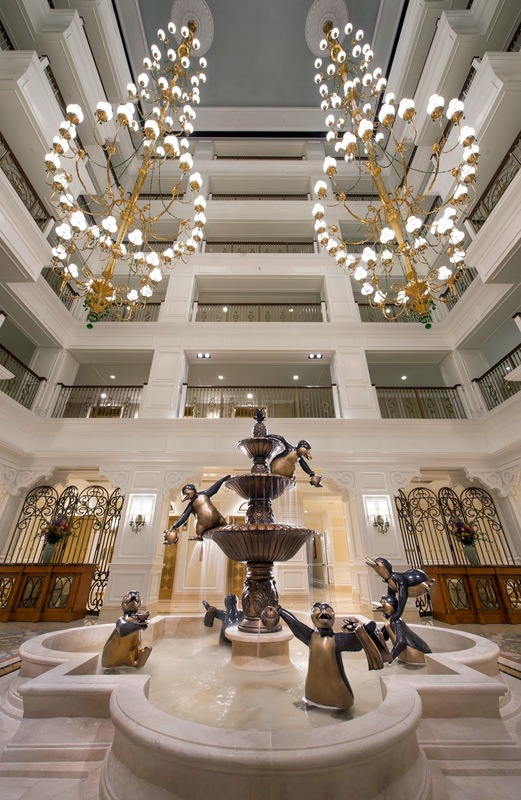 It is with this thought in mind that I found myself pining for a new tradition when I saw the new fountain at the Grand Floridian Villas, complete with a contingent of bronzed penguins from Mary Poppins. I should say that the seeds of this story start in Memphis, Tennessee at The Peabody hotel. Every morning at 10:00 a selection of ducks make their way down from the roof of the hotel to The Peabody lobby where the spend their day swimming about in the lobby’s fountain. Then, at 5:00pm, they make their way back to the elevator and up to their penthouse on the roof. 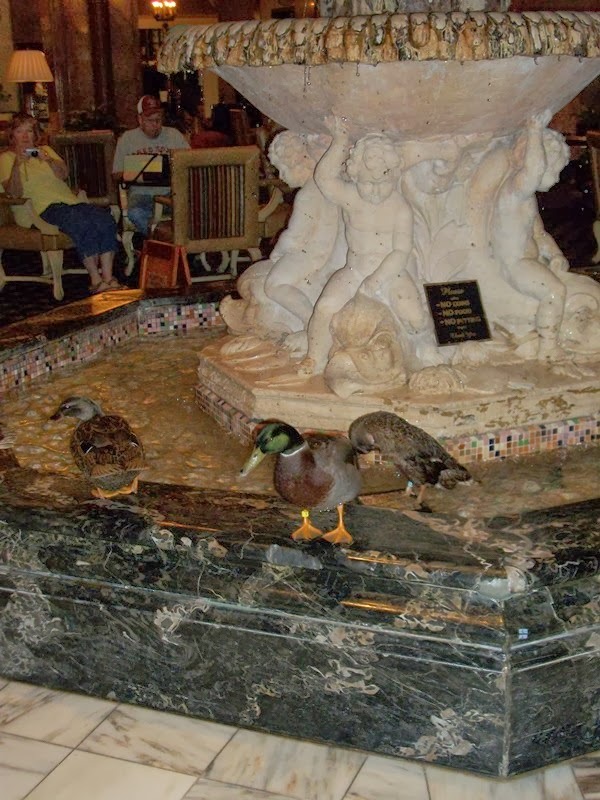 The story of how these ducks came to become a tradition has a lot to do with bourbon and decoys and a drunken joke, but the point is people come from across the world to see The Peabody ducks. A part of the morning and evening ceremonies often involves selecting a child to be the Honorary Duck Master. The child, accompanied by the official Duck Master, usher the ducks to their home or to the fountain. Think about how such a tradition could come to the Grand Floridian Villas! Okay, so Walt Disney World wouldn’t want to copy that tradition outright, nor would they want to send a platoon of penguins into the fountain all day. Just think of the mess and management problems that could cause! There are, however, a couple of other options for bringing an animal mascot to the resort. Perhaps a swan or a couple of turtles could make their home here during the days. Obviously, the idea of an Audio-Animatronics caretaker comes to mind, perhaps a cat or parrot that can tell a story or two, but the real draw is that you have a living and breathing mascot. I know that may seem to offer up an incredible number of challenges, but you need look no further than Shadow at Disney’s Hilton Head Island Resort to see what a perfect match this could be! Do I have the perfect answer for what could be the fit to the fountain, or the resort itself? Absolutely not. I do, however, think a resort or two at Walt Disney World could do with a mascot that doesn’t require a costume or programming, and who lives their lives in the lap, or fountain, of luxury.